Colossal Fight Company is a martial arts school that seeks to provide high quality training for self-defense and combat sports. 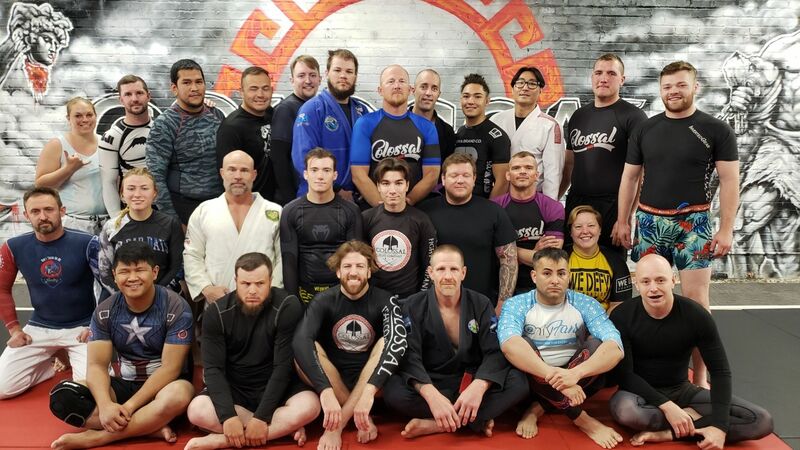 We focus heavily on grappling, with members experienced in jiu jitsu, Brazilian jiu jitsu (BJJ), judo, mixed martial arts (MMA), wrestling, and combatives. CFC encourages its students to cross train and test their skills in a number of arenas. CFC is open to anyone, of any skill set, age, or level of athleticism. Our training focuses on growing students into better, more balanced people. The atmosphere at CFC is very welcoming, and we invite you to step on the mats with us and train.